"Blue seas, virgin islands and colonial past" Andaman & Nicobar Tourism Lagoons of crystal clear water and scenic beaches topped with a little bit of history make Andaman and Nicobar one of the most perfect choices for an enjoyable, laid-back holiday where you can go on long treks, laze around in the backwaters of the island, or if you?re feeling a little more adventurous, even go for a bit of deep sea diving. From the pristine, untouched beaches of Neil and Havelock Islands to the bustling town of Port Blair, the Andamans have something to offer to every tourist. The history of Indian independence is closely linked to the infamous Kaala Pani or Cellular Jail, and this very jail (which is now a major tourist attraction) lies in Port Blair and attracts hundreds of tourists every day who want to get a feel of the old-world colonial era. There is a light and sound show that takes place every night, wherein the history of the jail is depicted in a very catchy and intriguing method. Havelock Island is the major attraction of the Andaman and Nicobar Islands, and the crystal blue waters along with white sand beaches, all of which are lined with green coconut trees lend Havelock Island a mesmerizing picture-perfect look. This island is one of the largest islands in the Andaman archipelago, and you can choose to either soak in the sun and sand on the beach or participate in the numerous adventure activities offered here, such as snorkelling and scuba diving. Port Blair is another famous tourist spot in the Andamans, and this multicultural town is the perfect place for you to get a glimpse of the local lifestyle and the traditions followed by the people of the town. A gorgeous escape from the bustle of the city life, Port Blair is steeped in colonial history and is the perfect place to lay back and spend an afternoon or two in. Download Andaman & Nicobar PD What's Great? Scenic Beaches. Dense Forest. Lots of water sports. Beautiful ambience. What's not so Great? Foreigners need special permits to visit here. Restricted/Tribal areas are not safe. 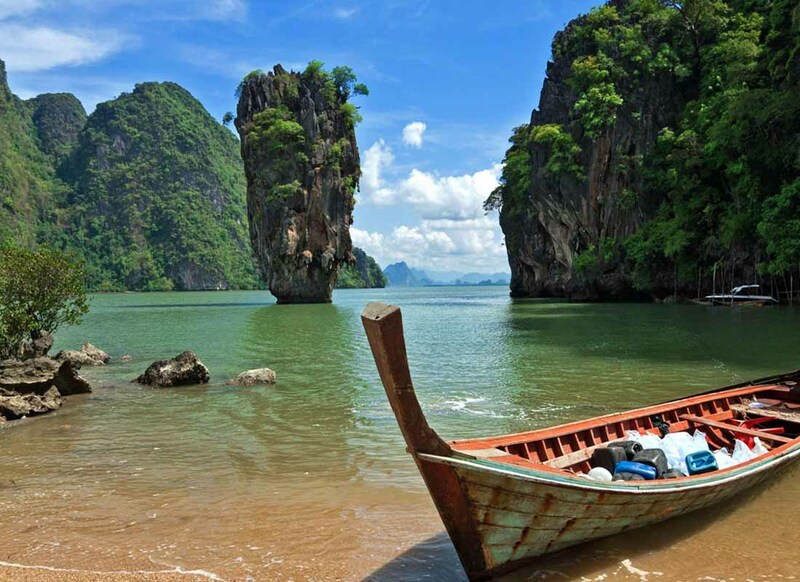 For Whom Andaman and Nicobar Islands offer an exotic vacation within the country. They are for everyone who is looking for a peaceful stay and lots of fun at the beaches. All adventure lovers would particularly love this place. Flora And Fauna In Andaman Andaman and Nicobar Islands are the largest archipelago system comprising of 306 islands and 206 rocks and islets. The canopied rainforest is a haven for 3000 species of plants including palms, mangroves, woody climbers, timbers etc. and almost 6400 species of fauna, both marine and terrestrial. It houses the largest wildlife sanctuary and is a home to nine national parks and countless vast varieties of flora and fauna. Other than the rich wildlife diversity, the islands are also a popular bird watching site with at least 240 types of birds. The island is also famous for its exotic corals and marine life. The endless coastline draws tourists from all over the world. The colourful shells, rocks and remnants of coral reefs are used as ornate ornaments, natural souvenirs etc. by the tourists. The island?s rich ecosystem, life forms diversity and sheer beauty of the place attract nature lovers, ecology enthusiasts and photographs all through the year. History Of Andaman Some of the earliest archaeological pieces of evidence suggest that the inhabitation of the islands dates back to 800 BC, which was sometime during the middle Palaeolithic age. The islands were occupied mostly by the tribes called as Andamanese and others including Jharwas, Onges, Shompens and Sentenelese. Initially, the empire was used by the Chola dynasty as a strategic naval base for an expedition against Sriwijiya Empire in Indonesia. Later it became a colony of the Danish, and they named it Danish East India Company. Soon after, the islands were repeatedly abandoned due to outbreaks of epidemics, mostly malaria. Later, the British set up their colony in Port Blair and bought the island from the Danish. Finally, when the British left India, the islands became a part of India in 1950 and were declared a Union Territory in 1956. Indigenious Tribes Of Andaman The Great Andamanese, Jarawas or Sentalenese are considered the first people or natives of the Andaman and Nicobar Islands. They inhabit the South Andaman and Middle Andaman Islands and live in groups and are known to be dark-skinned. They have shunned interactions with outside communities and mostly keep to themselves. They have been inhabiting the islands for the last several thousand years. Most of them have now been wiped out by diseases, epidemics and tsunamis and there are approx. Only 400-450 indigenous people are remaining on the islands. They resort to hunting-gathering lifestyle. Perfect Beach Holiday Andamans have the most exotic beaches. These are Wandoor beach, Elephant Beach, Sitapur Beach, Bharatpur Beach, Laxmanpur Beach and Radhanagar Beach. Each of these beaches offers a peaceful ambience that would make you want to spend days here. These beaches also give the opportunity of trying out a number of water sports such as Scuba Diving, Snorkeling, Sea Walk etc. Relive the Independence Struggle at the Cellular Jail Once a brutal prison, it has now been converted into a museum that depicts the entire struggle behind Indian Independence. This place is a must visit for everyone - Indian or not. The journey of Indian Independence will fill your heart with patriotism. Here, you must definitely check out Freedom Fighters Photo and Exhibition Gallery, Library on Freedom Movement, Old Photographs Gallery and an eternal flame of Freedom-Swatantrya Jyot erected in memory of all freedom fighters and martyrs. What Makes Andaman And Nicobar Islands An Amazing Tourist Destination Unknown to many, Andaman has one of the best trekking routes in India, which is the trek from Mount Harriet to Madhuban. The exotic flora and fauna coupled with the lush green forests are a paradise for trekking enthusiasts. Mount Harriet is the second highest peak in the Andamans, and if you have ever noticed the image of palm trees with a lighthouse in the backdrop on INR 20 Indian currency note, then you?ll be surprised to know that that exact visual can be seen from the peak of Mount Harriet in the Andaman and Nicobar. Andaman is not just about its beaches, though, and other popular places to explore include Bird Island (also known as Chidiya Tapu), the Samudrika Naval Museum, Anthropological Museum, and the Chatham saw Mill. Like all other coastal areas, seafood is a speciality in the Andamans. If seafood is not your thing, you can also try out the local Indian cuisine available in the numerous eateries dotting the town. The Andaman and Nicobar Islands are famous for their exotic shopping experience, and you can shop from a wide variety of curious and locally made handicrafts from the numerous beach markets, as well as other famous markets strewed all across the city. Itinerary The pristine island is perfect for an amazing beach vacation. Day 1: Arrive at Port Blair and take a regular city tour. Visit the Chatham Saw mill, which is the oldest and largest mill in Asia. Take a stroll through Forest Museum, Fisheries Museum and Cottage Industries Emporium called Sagarika. Visit the famous Cellular Jail which was also called Kaala Paani in its heyday, as it convicted Indian prisoners during British Raj. Attend the light and sound show held in the evenings in the prison. Day 2: Take a ferry to Havelock Islands as early in the morning as possible. The two and a half hours ride will give you numerous chances to stop and gawk at the emerald green waters. Spend some time on Radhanagar beach which is believed to be the best beach of Asia. Trek to the Elephanta Beach and have a peaceful dinner at Dolphin Resort next to the coastline. Day 3: Go for scuba diving or snorkelling or spend the day in idyllic bliss, at any Radhanagar beach or Elephanta beach or choose from the other numerous beautiful beaches present. Day 4: Head back to Port Blair and take a ferry to Ross Islands, which is a half day trip from Port Blair. It is an abandoned settlement and gives you a feel more or less like discovering a long lost city.